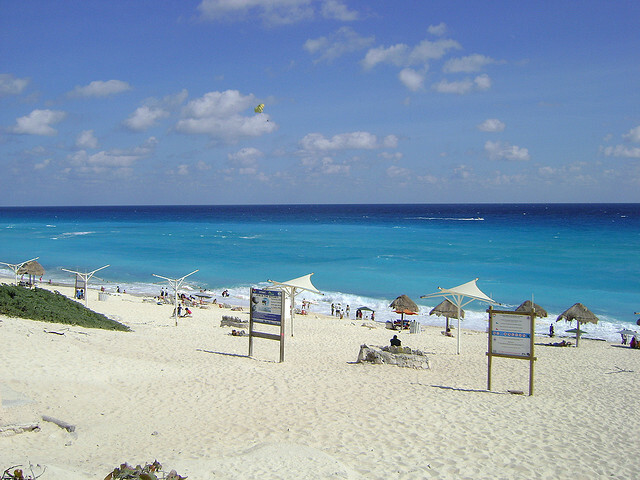 Playa Delfines is the best beach in the Hotel Zone, and guess what? There aren’t any hotels built on it! Loved by locals and visitors alike, at El Mirador (the other name for this beach) you can rent beach chairs and an umbrella and buy traditional snacks from beach vendors while you marvel at the aqua blue color of the ocean. El Mirador is located at Km. 17 in the Hotel Zone. 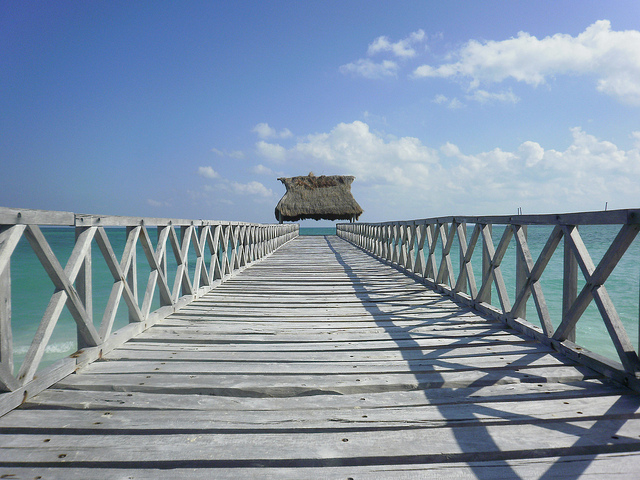 Take the ferry over to Isla Mujeres and when you get off, turn left and take a 5-10 minute walk. Now look to your left…that’s Playa Norte. A wide white sand beach with tranquil waters lapping at the shore, you can spend your day at a lively beach club or just plop your towel down and go it alone. 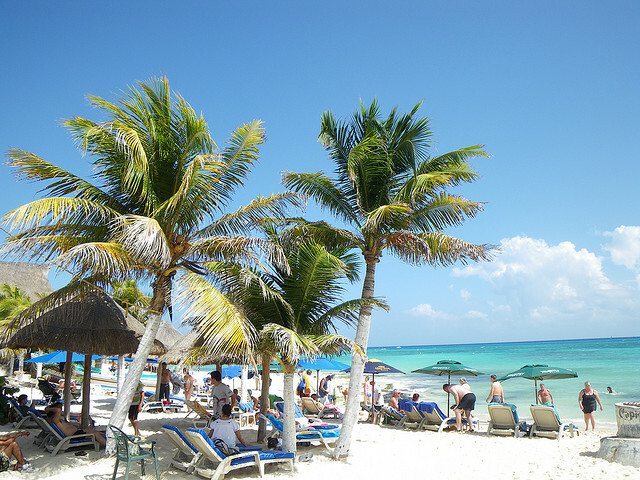 Playa Mamitas is one of the most popular beaches in Playa del Carmen. Located at the end of 28th street, this lively area of the beach is never boring. The sun, the sand, the surf, and the European flair of Playa make for a cosmopolitan day at the beach. One of the many beach clubs in Playa del Carmen is sure to perfectly match your needs and your personality. This beach is a secret jewel located 25 miles north of Cancun. So shhhhh…don’t tell anyone else. There are no convenience stores and the island is not connected to city services. There is no public transportation available, so you’ll need a car to get there, but it’s well worth the extra effort. 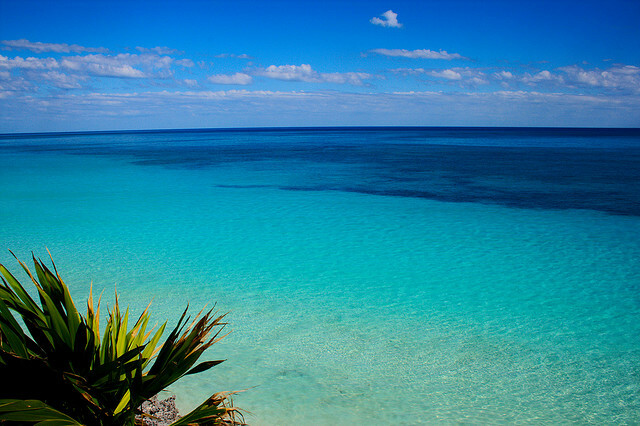 Tulum arguably boasts one of the most beautiful beaches in the entire world. Lined with small boutique hotels and eco friendly cabañas, Tulum is a bohemian dream. The wide white sand beach seems to go on forever, so take a long walk and let the aqua blue Caribbean Sea wash your worries away. Tulum is located 80 miles south of Cancun. We would like to thank Chitio Rendón, Philippe Martin, Javi y Lorna, leoncito352003, and Esparta for the lovely photos. Have we missed any? 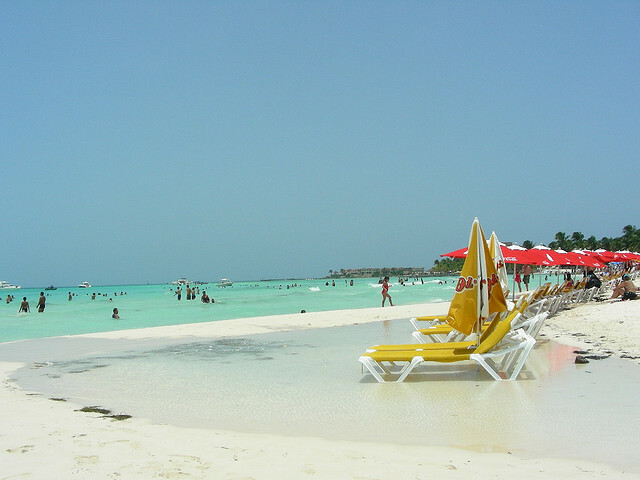 What is your favorite beach in the Mexican Caribbean?